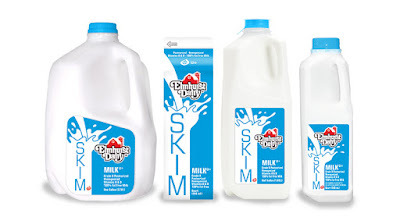 Weighty Matters: Guest Post: Skim Milk Makes Kids Fat. Or Does It? Today's guest post comes from my friend and colleague Dr. Dan Flanders and it's about a topic that has in fact received a fair bit of attention over the past few years - full fat vs. skimmed fat milk and the proposed impact which you choose might have on your child's weight. If you're looking for Dan, you can usually find him on Twitter. Last week, Target Kids!, a distinguished group of Toronto pediatric researchers, published a study on the relationship between the types of milk that young children drink and their weights. They demonstrated, quite convincingl,y that young children who routinely drink fattier milk (e.g. 3.25% whole milk) tended to be leaner than those who drank lower fat milk (e.g. skim or 1%). Likewise, children with overweight and obesity, were found by them tend towards drinking lower-fat milk than children who were leaner. The authors suggested, as a possible explanation for these findings, that low fat milk doesn't satiate children very well and therefore probably leads to the eating of excess calories and consequently, the additional weight. Higher-fat milk drinkers, they proposed, feel fuller, and for longer, and are therefore less likely to overeat. One can imagine how compelling this explanation might seem in light of our current international childhood obesity concerns. So is this the simple intervention we need to cure childhood obesity!? Probably not. Consider, for example, what a sensible and caring parent of an underweight young child might do to help them to gain. As both a pediatrician and as a father of an underweight child, my first instincts and steps were to increase the fat content of my son’s milk. In fact it is common practice in the medical community for doctors and other allied health professionals to recommend switching to fattier milk as a means to encourage weight gain for young, slow-to-gain children. Likewise, it is extremely common for parents of children who have excess weight to attempt reducing their children’s caloric intake by serving them lower-fat milk. And again, this is a practice that health professionals regularly recommend to help to “prevent childhood obesity”. Coming back to this new study, in my opinion, the directionality is wrong, I think it highly unlikely that drinking fattier milk is causing leanness in children and that drinking low or no-fat milk is causing obesity. Rather, I would bet that the milk type that young children are drinking is probably being chosen by their parents as a consequence of their kids’ weight status’: fattier milk for the children who are lean and lower-fat milk for the ones who are heavy. Effectively, this study shows a correlation, not a causal relationship, and its findings are just as (or perhaps more) likely to reflect sensible parenting decisions than the discovery of a new intervention to reduce childhood obesity. So why write about this study? Well, in a word … The Media. There can be an interesting and sometimes dangerous intersection between science and the media. As consumers and parents, we are eager to make good, health-promoting decisions for our children and families. When it comes to health and nutrition, these decisions ought to be properly informed by the process and outcomes of scientific inquiry, and be published in peer-reviewed scientific journals. But most of us are not scientifically minded enough to read, digest, and critically appraise peer-reviewed publications directly from the source, and so we turn to the media for help. The media - broadcasters, journalists, health bloggers - play the important role of consuming, interpreting, and packaging science discoveries in a way that is digestible to mainstream consumers. Unfortunately, the media too often botch their coverage of important science discoveries by spinning stories to feed flashy and controversial narratives thereby, they hope, driving higher consumer subscriptions and ad revenues. Left in the dust is their mandate to responsibly inform consumers. A correlation has been found between the type of milk that young children drink and their weight status. The study was unable to determine whether the type of milk consumed caused changes in body size or whether existing body size influenced the type of milk consumed. Future studies are needed to establish any causal connection. I am concerned that parents, wanting to do what's best for their children, have been misled by these headlines. Not only does this type of reporting send a statistically inaccurate message, but there is a real chance that these headlines will change (or have changed) parents’ family nutrition decisions with the risk of actually making things worse for their children. I am even more concerned that this sampling of misleading health journalism is but a spit in the ocean; reckless health reporting is routine and commonplace. As a global community we must demand better from our journalism communities. Dr. Daniel Flanders is a Toronto pediatrician and founder/owner of Kindercare Pediatrics. He has a special interest in pediatric nutrition and childhood obesity. Dr. Flanders completed his medical education at McGill University in Montreal and the University of Toronto’s Hospital for Sick Children. 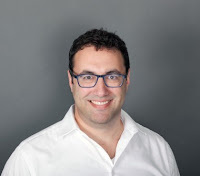 He is on staff at the North York General Hospital and is an adjunct lecturer at the University of Toronto’s Department of Pediatrics, Faculty of Medicine.